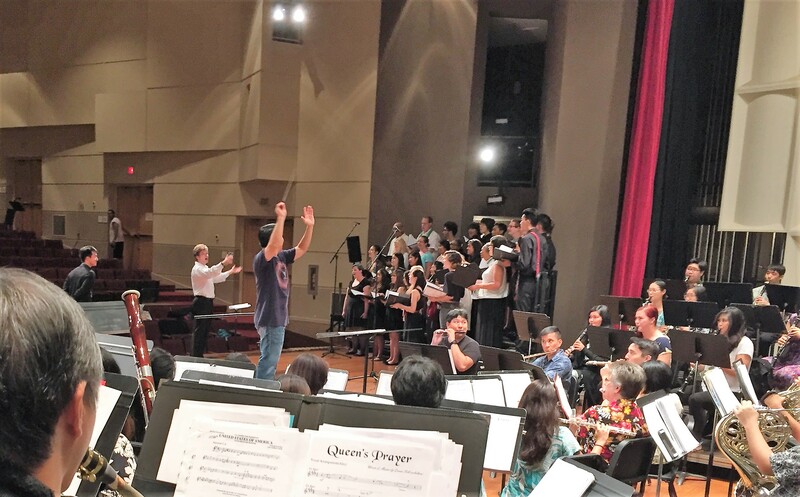 UH West Oʻahu’s music program is offering a nice finishing touch to your Thanksgiving Weekend – a free Winter Concert by UHWO’s University Band, University Chorus, and Hawaiian Ensemble this Sunday, Nov. 26. Featured on the program are traditional holiday offerings, tributes to Her Royal Majesty Liliʻuokalani, and music including “Kohala March” by Pale Lua & David Kaʻili, Eric Whitacre’s “Lux Aurumque” (Light and Gold), Benjamin Britten’s “There Is No Rose”, “The Wind and the Lion Symphonic Suite” by Jerry Goldsmith, and much more. The groups will present a variety of holiday and other selections. The event is sponsored by UH West Oʻahu’s Humanities Division’s Music Program. Questions? Jon Magnussen, 808-689-2357, or jonmagnu@hawaii.edu. Tagged Hawaiian Ensemble, Humanities Division, Jon Magnussen, Music Program, Pearl City Cultural Center, University Band, University Chorus, University of Hawaii West Oahu, winter concert. Bookmark the permalink.